Happiness makes up in height what it lacks in length, said the poet Robert Frost. If you have spent a few days or weeks in my class on the Confessional Poets, or long enough in a bar in conversation with me, you would hear me repeat this quote. I am interested in Happiness. In recent years, the subject has been the source of many studies, a great deal of research and blogs(See Daniel Gilbert) and books, and now perhaps more of a topic at the tavern. (Well, perhaps it’s always been a topic at the tavern.) The difference is now we are looking at sustaining joy, beyond its term limits implied by Frost. But consider readers of Dante. The number of those who study The Inferno significantly outdo those who read Purgatorio or Paradiso, no to mention how many times The Inferno has been translated into other languages. Could this point to our desire to understand pain and tragedy because it feels more mysterious than joy? Or is it that pain is the territory we most often occupy? 5)I can’t say it enough, but I will move on to Ellsbury. We missed you last year for certain. 6)I bow down everyday to A.G.
8)If you get down for a minute or two one of these nights, consider that sweep a few weeks ago. You know the one. I am not about to take on a Harvard Professor, especially one who has written excellent books on the subject of happiness. After reading his bio, I realized I didn’t know he also has a tv show, “The Emotional Life,” to top off his achievements. His essay, “The Weight at the Plate” is illuminating. But it’s that first sentence that has got me stirring this morning. Some may say, well that’s because it’s true and the truth hurts. Not only that, these injuries, especially Youk’s thumb, hurt like hell. But is all this swelling going to silence us? Are all these broken bones enough to choke our cheers? 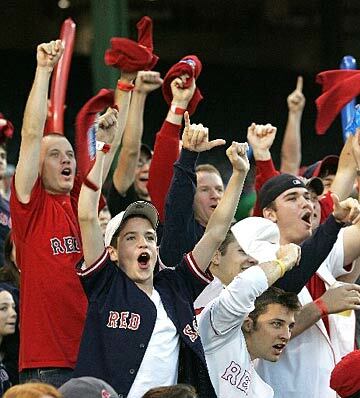 I wrote about an article earlier in the season that challenged Red Sox fans to stop acting like Yankee fans. With 27 rings, the Yankees have come to expect a championship every year. That’s natural, even if some think that the way they got there is unnatural. So be it. With two rings in the last ten years, are we spoiled and greedy? First, we love this rivalry. And any great play or better, any victory over the Yankees, gives us something to cheer about. Will this be a Bronx massacre that desecrates our entire season? Well, maybe. I keep thinking about the tickets I bought for October 2 at Fenway. The second to last game of the season AND it’s against the Yankees. Some somber fellow Sox fans have said to me that the game will be meaningless, why bother going. I won’t write my dissertation on why i love baseball here. I will say that there is a long list of moments this season where I have thrown my hat into the air in celebration, some of which are listed in my first-half highlights list. Yesterday I saw a surfer with a t-shirt that said, “The Journey is the Destination.” Somewhat of a cliche these days, bur you know that phrase stuck with me through the day. I don’t mean to get too mystical, but I do intend to convince myself, or even you, that this season is not even close to over. After yesterday’s entry on Youk’s thumb, I started thinking about a list of things we need in place of Youk’s thumb, or more literally, his absence. Please add more to the list. . . .
8) Opening Day Comeback against the Yankees: Full Blossomed Optimism, which vanished faster than Jayson Werth’s liner back to Dice-K on May 22, which leads me to . . .
6) Clay Buchholz’s Complete Game Shutout against the O’s, June 4th: Masterful Season in the making. 3) Nomah Night, May 5th: The Past is the Present, or something like that. 2) Dustin’s 3 HR Laser Show, Colorado, June 24th: Fans required to wear protective gear in the left field stands. 1) Daniel Nava’s First-at-Bat Grand Slam: The story with many stories, like Tolstoy.